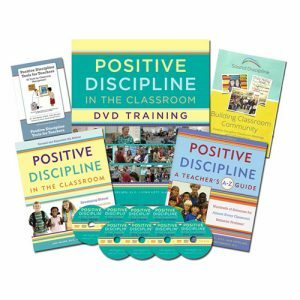 Jane Nelsen and Lynn Lott have completed a DVD training that includes 6 1/2 hours filmed at a live training and requires about 5 1/2 hours of homework to practice the skills in order to receive a certificate as a Certified Positive Discipline Parent Educator. At the end of this training, you will be ready to lead parenting classes and/or improve your skills as a parent educator regardless of the setting in which you work (counseling office, pre-school, etc.). A Certified Positive Discipline Parent Educator certificate will be awarded to you once the Answer Sheet is completed in a Word.doc/docx format. You will receive an email with feedback and a certificate signed by Jane Nelsen and Lynn Lott. The work involved to complete the answer sheet (14 questions) takes an additional 5 1/2 hours above and beyond watching the DVD’s because it includes practicing some of the experiential activities and the Parents Helping Parents Problem-Solving Steps with friends. A hallmark of the Positive Discipline workshops (and classes) is experiential activities. Role-playing is the most profound way to learn, not only in your head, but also in your heart and gut. Participating in experiential activities and role-playing is the best way to “get into the child’s world” to understand what children are thinking, feeling, and deciding in response to the discipline methods used with them. How else can we really understand the long-term effects of discipline methods? Even parents who initially resist role-playing soon discover how much more they learn when they participate (or at least watch others role-playing). They soon give up their resistance and enjoy the fun and deep learning from experiential activities. 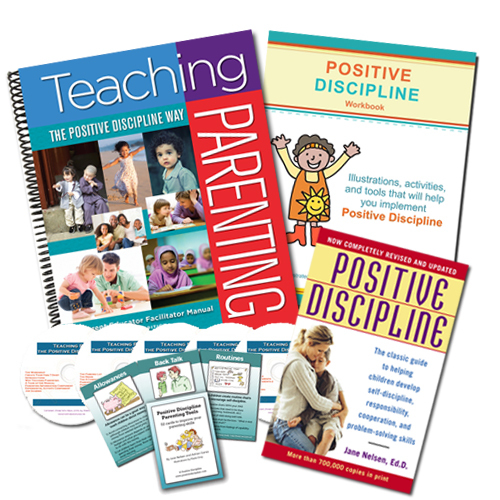 Another great hallmark of Positive Discipline parenting classes that you will learn is the Parents Helping Parents Problem-Solving-Steps. During each parenting class, a volunteer parent shares a specific challenge with a child and you, the facilitator, lead the parent through a 14 step process that includes role-playing to “get into the child’s world,” and involves the whole group to brainstorm for solutions. This is very empowering to everyone one. The volunteer then chooses one suggestion and role-plays practicing it, or being the child to experience what the suggestion “feels” like to the child. This soon becomes the favorite part of every parenting class where all the Positive Discipline tools come together for practical application for “real” challenges.